First article by Josh Shafran. His spouse is, travel consultant, Holly Shafran. When he is not traveling, Josh teaches English at Boulder High School. Write a list of what a perfect island vacation should be; small islands, beautiful calm seas, few people, absolute privacy, a wide expansive white coral sand beach lined with coconut trees, a flowering jungle environment, and a secluded cottage. Holly and I found such paradise - the Grenadine Islands. They are pristine with names like Mystique, Mayreau, Tobacco Cays, Petit Martinique and Petit Tobac, Palm and Petit Saint Vincent. The waters are as perfect as the land. We visited two such places, each as unique as the other. The first, Petit Saint Vincent Island Resort (PSV), is a private 155 acre oasis, meticulously created by Hays and Lynn Richardson. The resort is the island and the island is the resort! A private PSV boat took us there. Upon landing we were greeted by Hays Richardson and then quickly taken to our cottage on the other side of the island. This resort is so private and exclusive that we could have stayed in our cottage area for the week. Our compound was wonderful; a coral stone cottage, mahogany decks, a walkway to a private beach, hammock, lounge chairs, dining and living room, bedroom, huge bath and a coral stone walk in shower. The trade breezes are constantly refreshing on this side of the island, so the only added room comfort comes from the ceiling fans. The cottage is equipped with a compact sound system that plays both CD's and cassette tapes too. The waters at our beach front were azure turquoise, and calm since this side of the island is surrounded by a natural coral formation forming a quiet lagoon area to snorkel, swim and relax in the gentle 82 degree water. Service is truly private, professional and custom tailored to need. When we wanted total privacy we raised a red flag. When we wanted room service we raised a yellow flag. The Richardsons have designed the perfect place to unwind. You pick the times and the service you want. It will be there! When we wanted to get out there was much to do. PSV has walking trails, with great spots to read, relax, listen to nature, contemplate whatever and of course watch sunsets. On one trail there is even a "take a banana" box - just in case you get hungry on your walk. On another hill is a large more formal dining and bar pavilion, for formal dining and socializing. At the marina is a water sport facility. 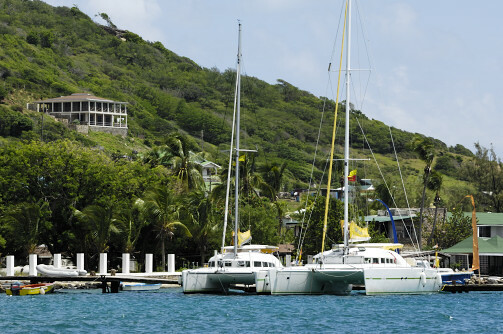 Here we could check out wind surfing, sail fishing, or arrange other water based activities. My days were divided between SCUBA in the morning, and land based relaxation the rest of the day. Full of nature the SCUBA dive sites are amongst the most magnificent I have experienced in the Caribbean. There are so few divers that the corals and other marine life have been allowed to flourish. The soft corals are of many types. I saw sea fans, and gorgoreans as large as in the Red Sea gently sway due to the gentle currents, leaving wandering sea shadows. The hard plate, elk horn and mushroom shaped corals are great too. The waters bring constant nourishment and excellent visibility to the area. The ocean is dense with life. Schools of yellow fin tuna, and red snapper moved by us in tightly packed large cloud like formations. Lobster and shrimp hung out under coral shelves. Colorful Caribbean fish of all types live at the reef. Schools of blue chromis, jacks and barracuda moved by as we passed resting grouper, angel, trunk and spotted drum fish. The colors are second only to what I have seen in the Pacific. Larger animals such as sting rays, nurse shark, reef shark and turtles pass by. On a couple of dives I saw schools of spotted eagle rays too. The dive sites I visited seemed untouched. On many days I dove with the dive master only. On crowded days I dove with six others. This is SCUBA at its best. It is a style of the sport that is very unique and relaxing. The second week Holly and I spent at Palm Island Resort. 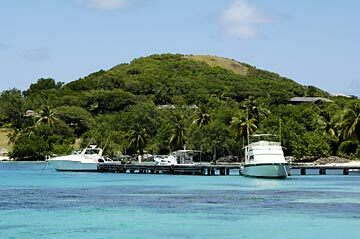 This first class resort is set on another small island in the Grenadine chain off the coast of Union Island. It is special too with a great beach, and a pool landscaped with a waterfall. The restaurant is fully open to the beach. This is a truly all inclusive resort including in room self serve coffee, teas, mini frig. and all bar drinks. 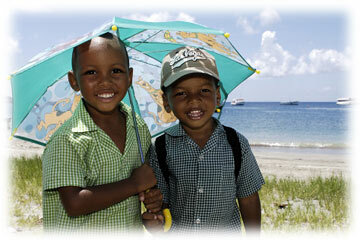 The Grenadines are truly relaxing. It was a wonderful way to unwind and get ready to return to professional life. On a recent tour of the Grenadines we had the pleasure to dive with Glenroy from Grenadines Dive in the Tobago Cays. Hemisphere is a fully equipped diving machine with two PADI dive instructors amongst the crew composition, a full dive room and the option to dive from either our custom 54ft dive/fishing boat or the 28ft Scorpion RIB. Having been an instructor myself since 1995, I’ve experienced every standard of local dive guides and with every new encounter I’m typically hesitant as to the experience they will deliver. Glenroy and his team are very professional, safe and are very enthusiastic for the work they do and provided an excellent experience for the our owners and guests who dove in the Cays. This past August my wife and I had a wonderfully glorious rest in your country for two beautiful weeks. 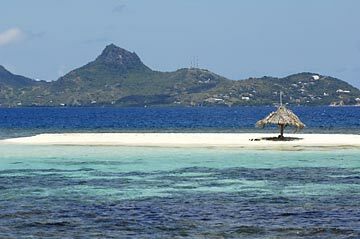 We stayed at Pettit St. Vincent and Palm Islands' Resorts. If I were to give you a list of what a perfect island vacation should be this area of your country would meet all the requirements. 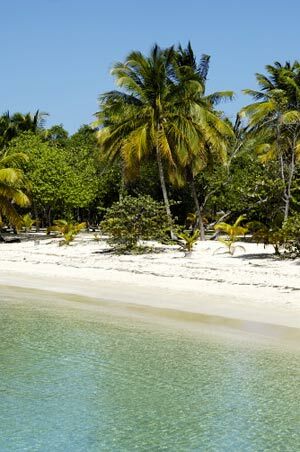 The Grenadine Islands are a perfect paradise. They are pristine perfection. The waters are as perfect as the land. Petit Saint Vincent Island Resort (PSV), is a grand oasis, meticulously created by Hays and Lynn Richardson. The resort is the island and the island is the resort! Our compound at PSV was wonderful. Service is truly private, professional and custom tailored to need. When we wanted total privacy we raised a red flag. When we wanted room service we raised a yellow flag. The Richardsons have designed the perfect place to unwind. You pick the times and the service you want. It will be there! My days were fully occupied SCUBA DIVING with, Glenroy Adams and his team at GRENADINE DIVERS. They are a friendly, personable, and a well organized group of professionals who took great care of leading me on twenty-two fantastic dives through the clear waters of the area. Full of nature the SCUBA dive sites are amongst the most magnificent I have experienced in the world. There are so few divers that the corals and other marine life have been allowed to flourish. Please do everything within your powers to support and maintain the pristine balance of this important ocean reef. I have dived in areas ranging from the Pacific to the Indian Ocean, and from the Red Sea to Indonesia and beyond. The dive sites in your country rank on a world class level! Keep your dive locations beautiful. The second week we spent at Palm Island Resort. It is special too with a great beach, and a pool landscaped with a waterfall. The restaurant is fully open to the beach. This is a truly all inclusive resort including in room self serve coffee, teas, mini frig. and all bar drinks. I hope to travel to your country again and enjoy more of your land, ocean and culture.